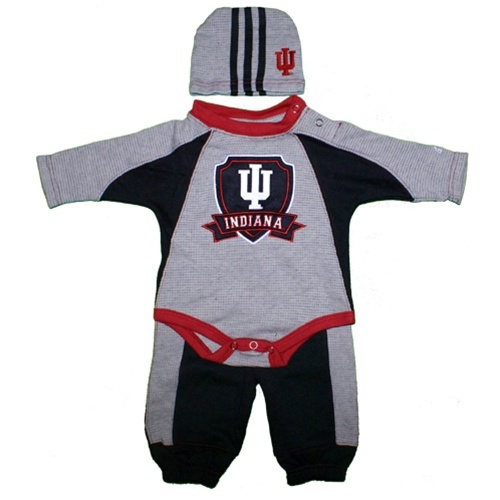 This great little Indiana Hoosiers thermal creeper set includes a stylish little beanie with the IU embroidered on the top and a matching pair of black ADIDAS sweatpants. The main piece is a snap-bottom onesie. 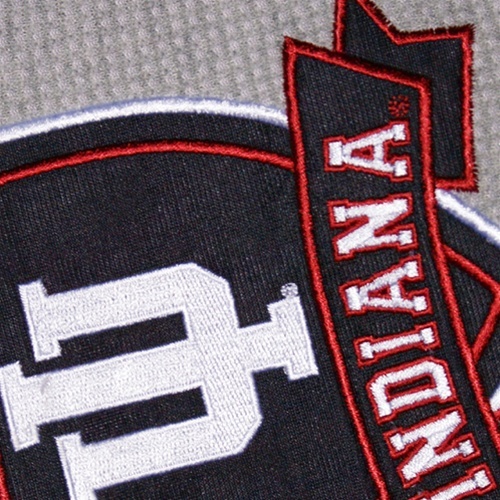 The waffle mesh thermal material is very warm and trimmed in crimson red. Great way to start out the little ones!